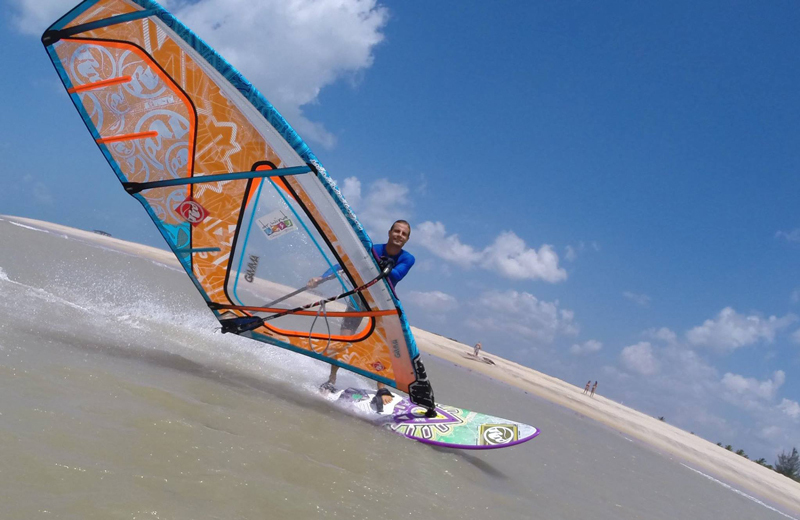 Gostoso in Brazil is a true gem in the world of windsurfing according to our team, it’s one of the best windsurf locations in the world for your next holiday! Between September and March Brazil is one of the world’s most reliable wind spots. During these months the wind blows almost every day with wind speeds ranging from 17 to 30 knots and a side to side off shore direction. 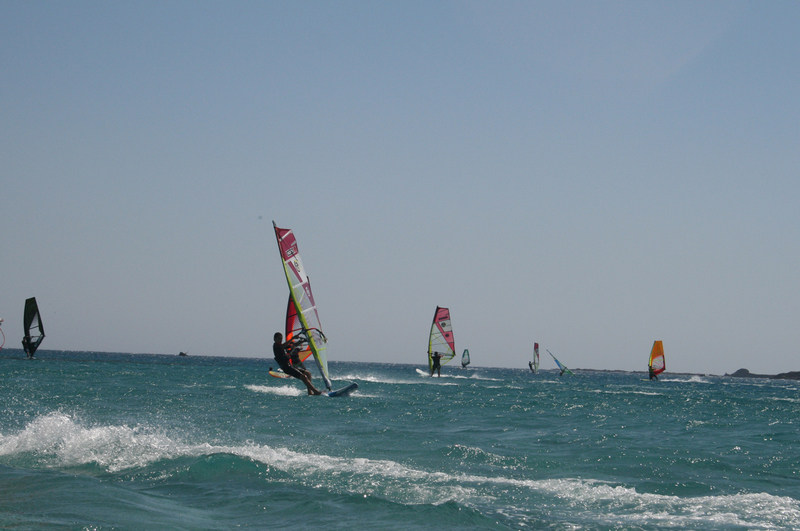 There is a variety of conditions in Gostoso to suit any windsurfer’s needs. 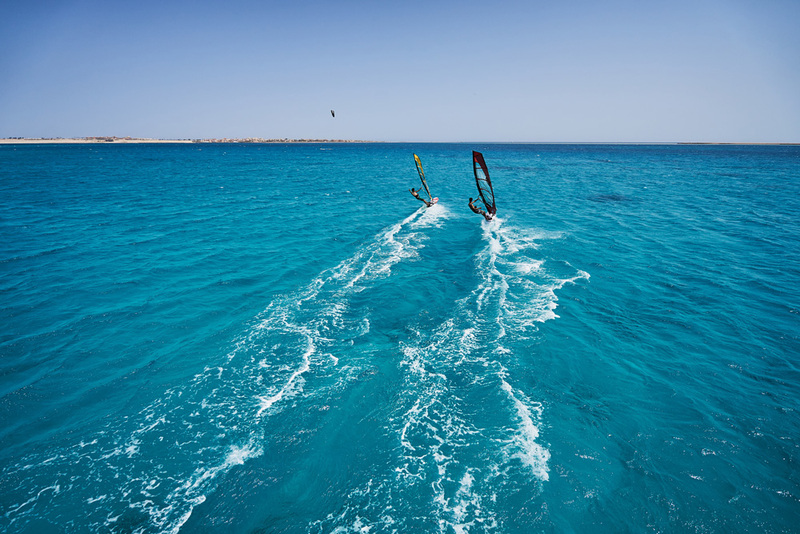 Enjoy shallow butter-flat water through to small clean waves. For waves, the best season is November through to January with super clean 1-2 metre waves on the outer reef. 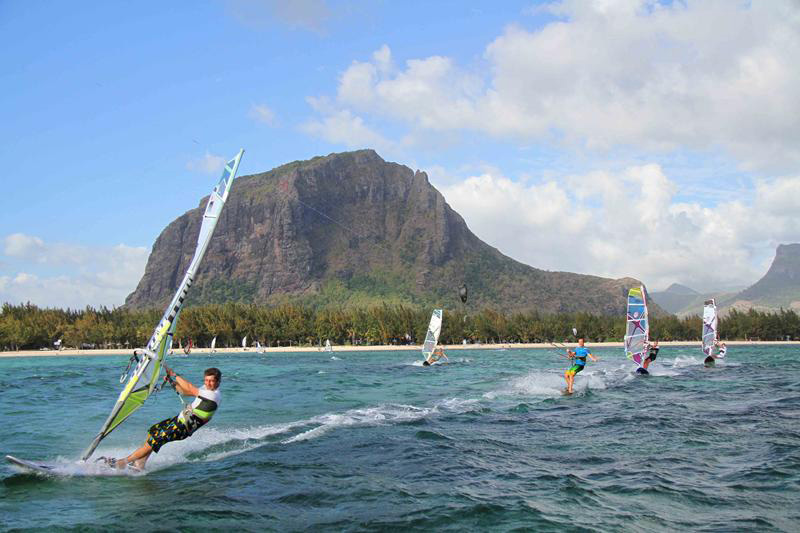 Planet Windsurf work with two different windsurf locations in Gostoso, depending on your accommodation choice and windsurfing skill level. Gostoso offers great value for money when it comes to accommodation and eating out. 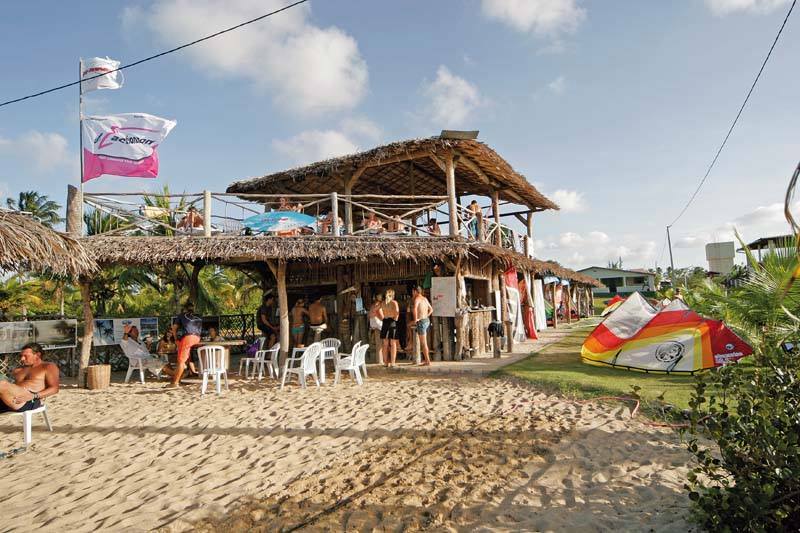 A few lively bars offer live music and great drinks specials while there are plenty of restaurants to choose from offering mouth-watering Brazilian specialities and plenty of fresh seafood at affordable prices. 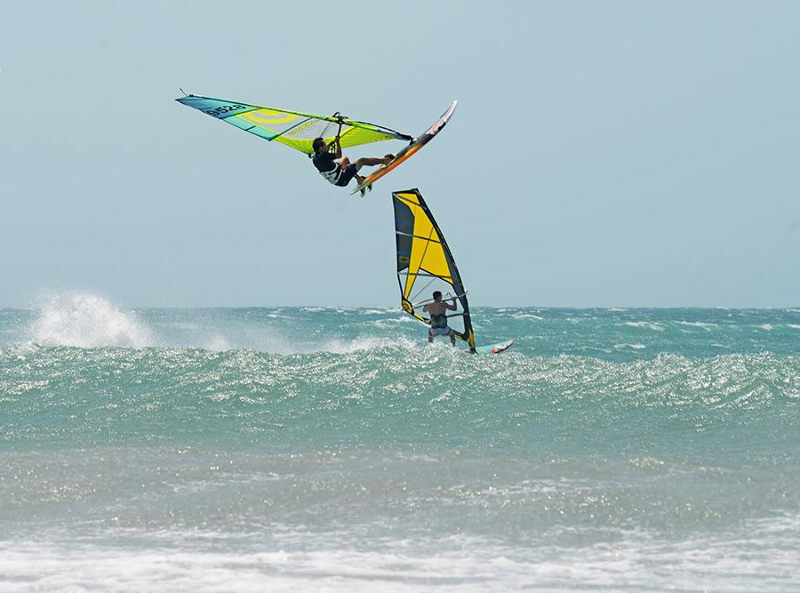 Planet has sourced a handful of very good quality boutique hotels for our clients, with the windsurfing either directly on site or just a short walk away. 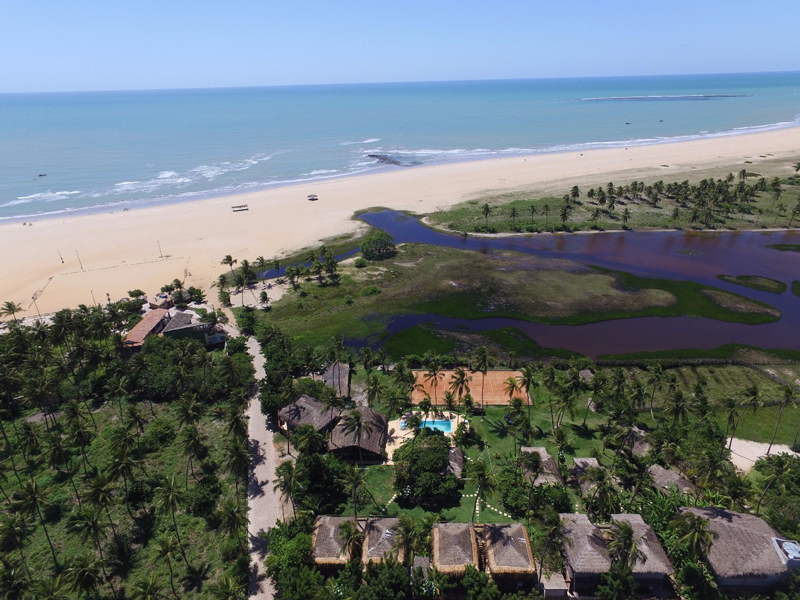 Couples will enjoy the Gostoso Luxury Boutique Hotel – a gorgeous owner-run beachfront property that offers newly renovated sea facing rooms, an unsurpassed level of personal service and amazing cuisine prepared by a professional Italian chef. Or if you are looking for a more social setting or are a single traveller, Claudis Guest House offers a vibrant atmosphere with a lot of organised events and social nights. 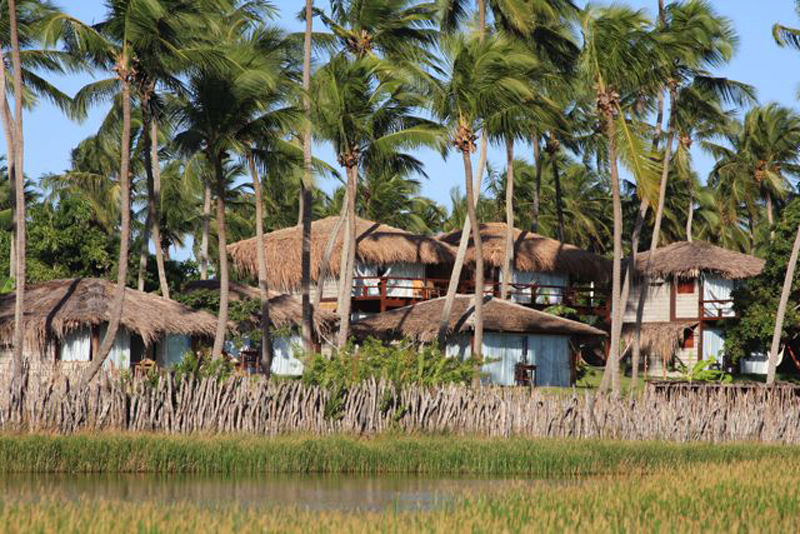 The local people in Gostoso, Brazil, are very charming, and welcoming to windsurfers, kiters, and surfers. 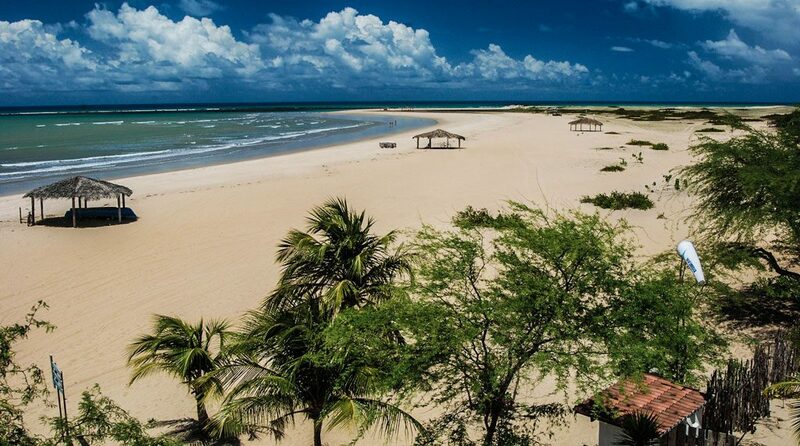 There is virtually no crime in this peaceful seaside region of Brazil and the pace of life is really calm. With ‘wind tourism’ growing every year, a variety of very good owner-run restaurants and bars are popping up, adding a fantastic vibe to the region. 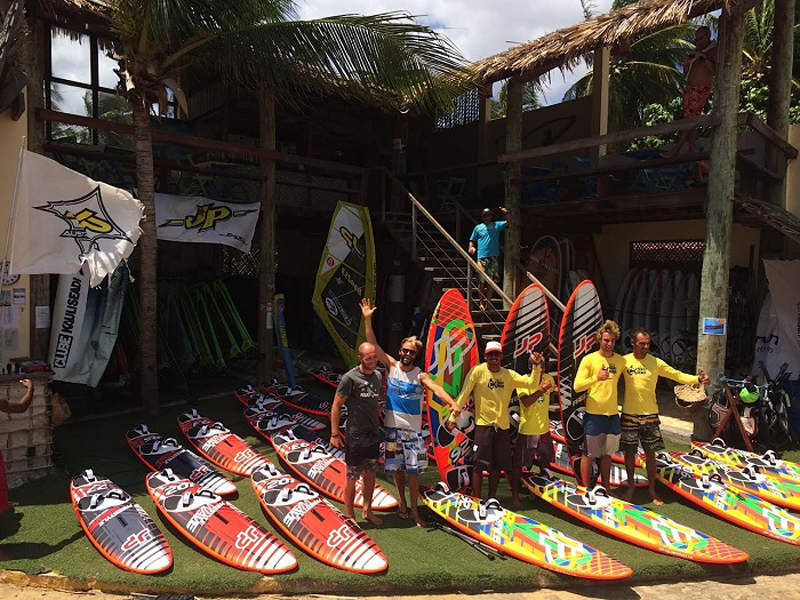 Located right on one of two main windsurf spots in Gostoso, the centre at Claudis Guest House stocks the very latest gear from JP and Neil Pryde. They also offer lessons from beginner to advanced, including freestyle and wave riding. There is also a shop and a bar on site which serves snacks and lunches, along with refreshing drinks. 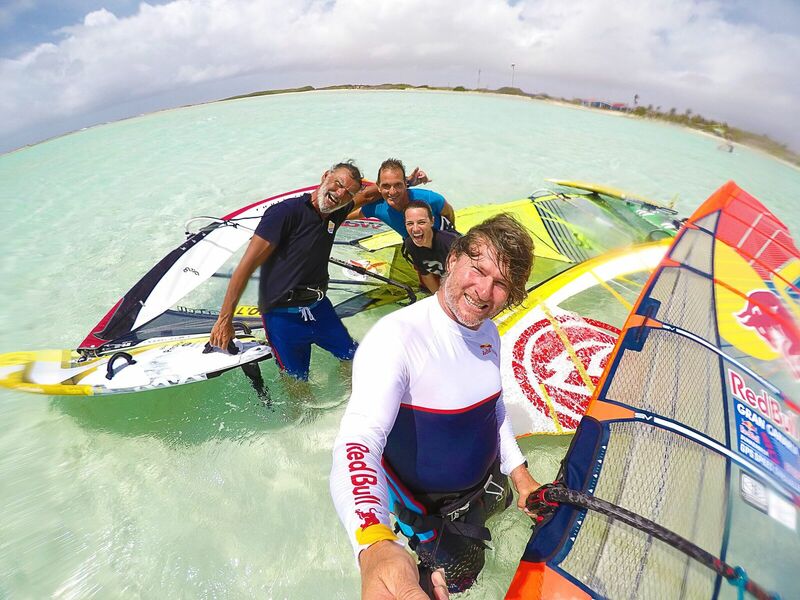 Our other partner windsurf centre in Gostoso is directly next to the Luxury Boutique Hotel and stocks the newest RRD windsurfing equipment and for pre booked windsurf rental, the SUP rental is free! 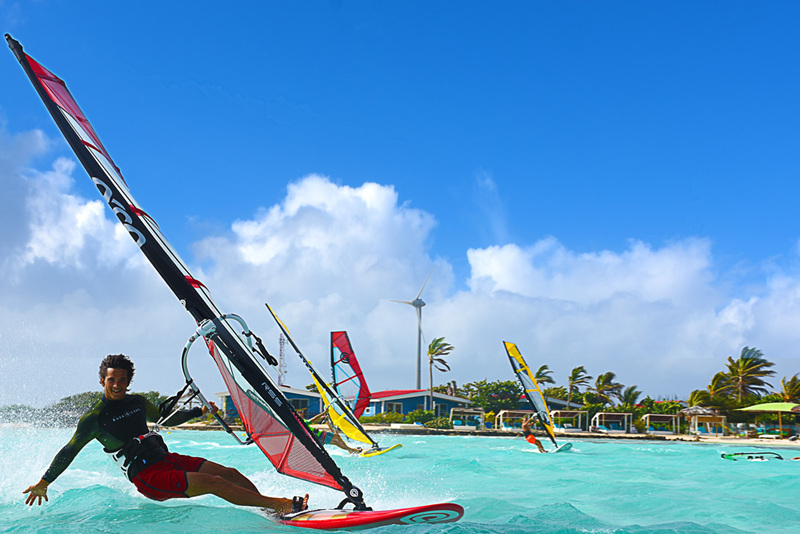 This windsurf centre is based at the easiest sailing area in Gostoso so is well suited to beginners and improver windsurfers. 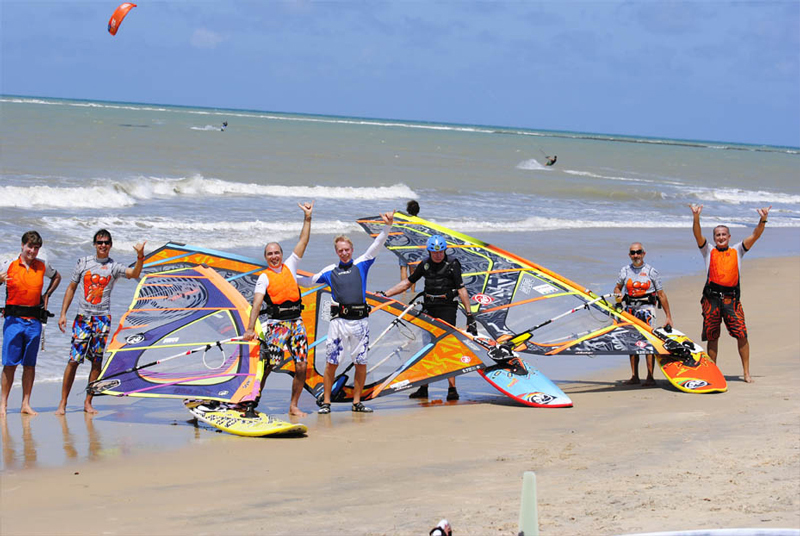 When planning a windsurf holiday to Brazil it is especially important you get the best advice on the appropriate accommodation and windsurf location for your budget and skill level. 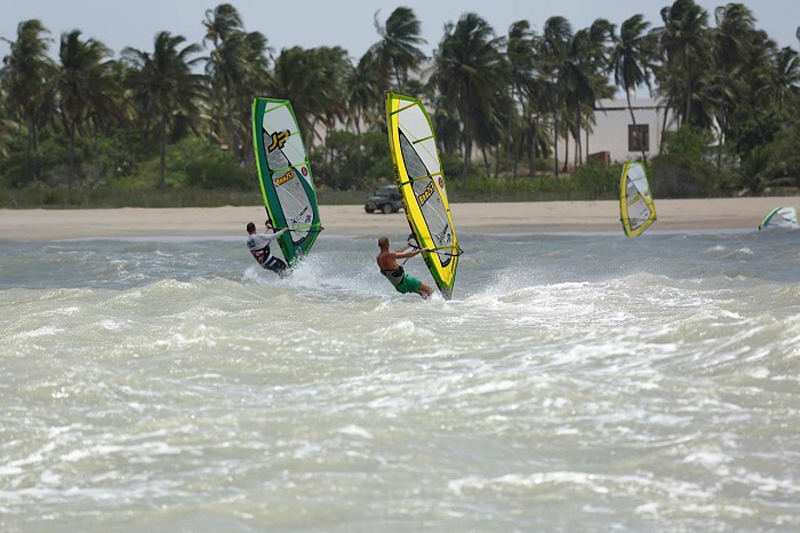 The team at Planet Windsurf are Brazil specialists, having travelled extensively around the coast of this amazing country – please contact us for expert advice!